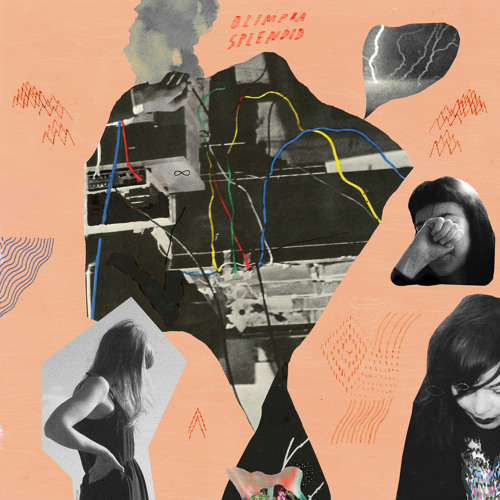 The long awaited debut album by Olimpia Splendid will finally be released 3rd of July! The recording will give the listener that familiar, hypnotic and noisy electric guitar music that we first heard in 2013 when Fonal Records released the seven inch EP “Nuttu nurin”. The album has six brand new compositions that are sure to sweep along the listener right from the beginning as the magical and rough sound pierces consciousness. Olimpia Splendid was founded in the summer of 2010 in Finland’s capital, Helsinki. Out-of-tune guitar- and vocal music with drum machine loops is composed and performed by Heta Bilaletdin, Jonna Karanka and Katri Sipiläinen. Each of them has been educated in Finnish art schools. The songs of Olimpia Splendid debut album were recorded in Studio Orvokka in Helsinki during the winter 2013. The album is recorded on eight track recorder and mixed on reel-to-reel tape by Ari Salonen. Mastered by Rashad Becker.